On Saturday June 10th, we will hike a part of the AZ/Highline trail in pursuit of colorful butterflies. As the temperature rises, the flowers start to bloom higher and higher in elevation. Butterflies follow this nectar flow “up the trail” and June is a great time to check it out. Nectar plants like Penstemon (Moon-marked Skipper shown), Kaibab Pussytoes, Canada Violets, Fleabane and Dandelion are blooming. Other species of butterflies like to mud puddle at one of the three seeps we will visit. Yet others, like Arizona Sister and Satyr Comma, are mostly found perched on trees. Please wear sturdy shoes and a hat, bring water, snacks and a sack lunch. A pair of close focusing binoculars will be handy too. The trail is moderately steep in places, but we will take our time. Meeting place is Denny’s on Shea Blvd in Fountain Hills at 6:30am or at the trailhead at 8:15am. Details to get to the trailhead: Drive to Payson, go straight at the hwy 260 intersection. After 3/4 mile turn right onto Houston Mesa Road. Cross all 3 “water crossings”, and after about 8 miles turn left at the stop sign. The road now turns into a dirt road. After about 1 miles turn right towards Shadow Rim Camp and Washington Park Trailhead. Follow this road up for about 5.5 miles until the right turn-off to the Washington Park Trailhead (marked). Turn right here, and instantly turn left (signs again) and you will find the trailhead well marked. Join NABA officers for a casual, educational exploration of Eugene’s nearby wetland areas where butterflies are abundant in the early season. 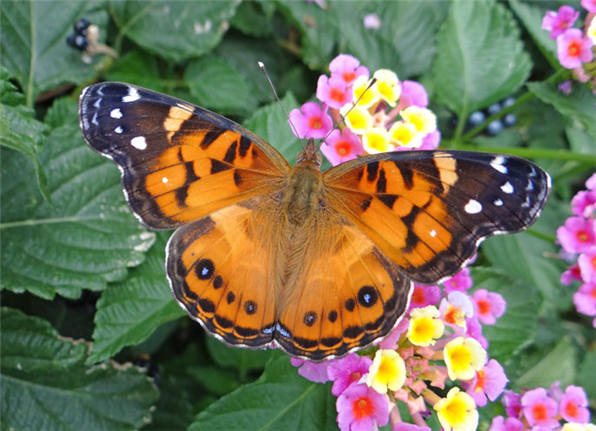 With these experts as guides, beginners and experienced butterfliers alike are sure to have an enriching natural-history experience – one that extends beyond butterfly identification. Free. Meet at 12:00 noon in the parking area by the Red House, West Eugene’s Wetlands office, located on the NE corner of W 11th and Danebo (751 S. Danebo Ave., behind the Hertz car sales lot). Preregister with David & Lois Hagen (NABA-ES) by email NABA.ES.trips@gmail.com.